The tournament consists of three levels of testing. Each level consists of a fifty multiple choice question test which are written using the Mississippi Career and College Readiness Standards. The local testing is given on a specified date at each school that wishes to participate in the tournament. The students with the top two scores in both seventh and eighth grade will qualify to participate at the district level. These students will travel to their district community colleges on a specified date. At the district level, the students with the top two scores in both seventh and eighth grade will qualify to participate in the state completion on April 6 to be held on the Rankin campus of Hinds Community College. The 7th and 8th Grade Math Tournament consists of three levels of testing. Each level consists of a 50-item multiple-choice test which is aligned with the Mississippi Career and College Readiness Standards. The first level is local with tests in the early spring at each school that wishes to participate in the tournament. The students with the top two scores in both 7th and 8th grades at each school qualify to participate at the district level in mid-spring. The students with the top two scores in both 7th and 8th grade in each district qualify to participate in the state competition in April. 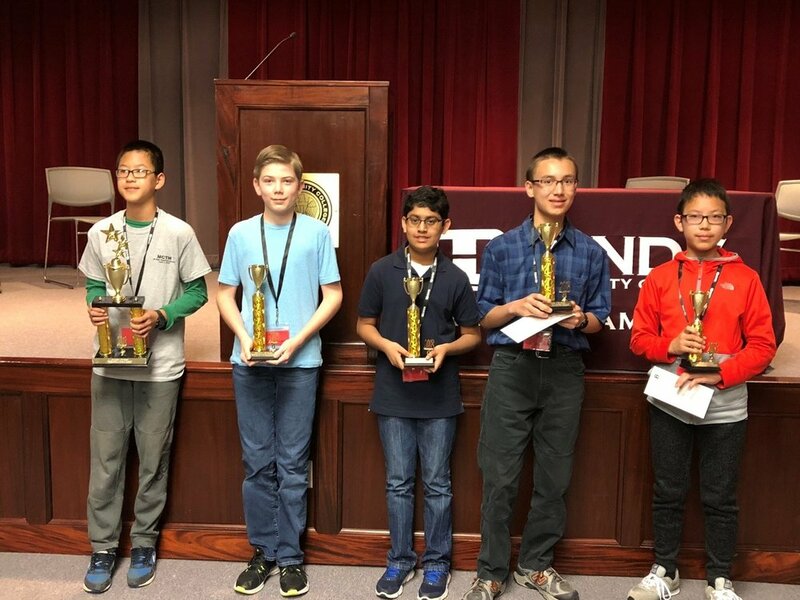 The 2018 state math competition was held April 7 on the Rankin campus of Hinds Community College, with 22 7th-graders and 24 eighth graders participating. Awards were presented to the students in each grade who achieved the five highest scores on the test.